Bermuda’s corporate community has been issued a sporting challenge by the title sponsor of the upcoming MS Amlin World Triathlon Bermuda, to race on Saturday 27th April, 2019. 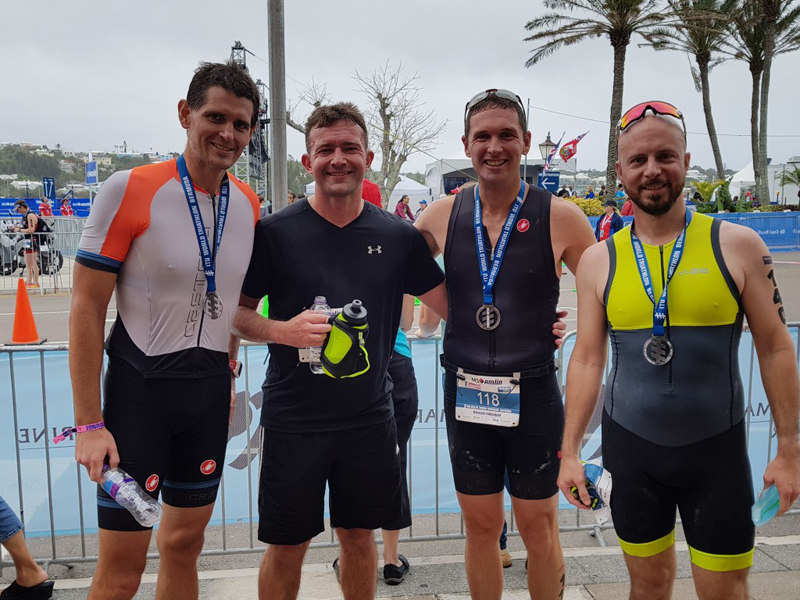 MS Amlin, a leading global [re]insurer with offices in Bermuda, will be represented by a number of teams and individuals racing in Bermuda’s World Triathlon Series Age Group race. Companies or individuals that bring eight or more race participants to the Bermuda event will receive a $500 credit, in cash or as a donation to a charity of their choice. WTSBDA encourages Bermuda’s businesses to take up the offer. MS Amlin’s Reinsurance Global Managing Director, James Few said; “We’re delighted to be supporting this wonderful event. We have active staff who enjoy sport and we’re aware that other companies in Bermuda are equally sports-minded. WTSBDA organisers have confirmed that there are prizes up for grabs, for the most participants and for the fastest team. A full schedule of events and entertainment is planned from April 25th to April 28th for this year’s World Triathlon Bermuda Festival. Saturday April 27th is Race Day when thousands of fans will line the streets to witness the world’s best of the sport swim in Hamilton Harbour, bike up the challenging Corkscrew Hill and run through the city, including up Burnaby Hill. The Amateur Age Group races begin at 7am with staggered starts throughout the morning. The Elite Men’s Race starts at 1pm and Elite Women’s Race at 4pm. “Flora Duffy will race on home soil again this year to defend her title, after a record-breaking win in 2018. Bermuda will again be in the international spotlight with global television reach as we host the second of the International Triathlon Union [ITU] World Series circuit,” the organisers said.